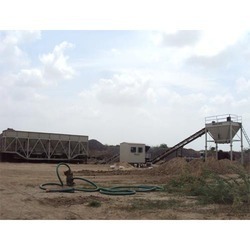 We are a leading Manufacturer of mobile wet mix plant, portable wet mix plant, wet mix plant and wet mix macadam plant from Mehsana, India. With our vast industry experience, we have established ourselves as the prominent manufacturer, exporter and supplier of sophisticated Mobile Wet Mix Plant. This plant produces higher production at low cost with close control. In order to assure the quality of wet mix plant, our team of experts examines this on various parameters. Our offered wet mix plant is available in different specifications, in order to meet numerous requirements of customers. Along with that, this wet mix plant is highly acknowledged for perfect design and durability, among our customers. As a specialist in this domain, we bring forth a fine quality collection of Portable Wet Mix Plant. Used for base & sub base, our offered wet mix plant is examined by quality experts on different stages in order to assure that dispatch flawless range. This wet mix plant is manufactured by utilizing top grade material and cutting-edge technology at our highly advanced production unit & available with fixed or variable speed drives. Our organization has gained recognition as a flourishing organization for providing Wet Mix Plant. Offered mix plant is manufactured using superior quality components and the latest technology under the guidance of skilled professionals. 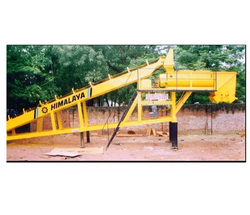 The provided mix plant can be availed in different designs and specifications as per the demands of our clients. 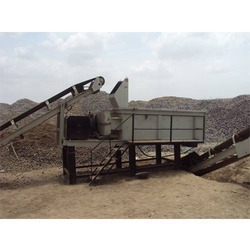 Besides, clients can avail this mix plant from us at nominal prices. Being a well-established organization, we are offering a quality assured a range of Wet Mix Plant. This plant is fitted with adjustable gates & offered with fixes & variable speeds. The wet mix plant is manufactured using optimum quality material and latest technology. In order to assure the quality of the wet mix plant, our quality experts check on numerous parameters. 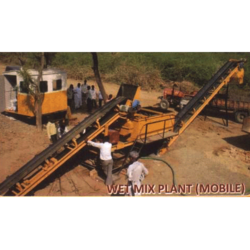 Along with that, we offer this wet mix plant in various specifications, in order to meet varied needs of our customers. Being a market leader in this domain, we present the premium quality Wet Mix Plant. Manufactured by using the latest technology, the offered wet mix plant is known for its less power consumption, high efficiency and low maintenance. By following total quality management, we assure that the quality of the offered wet mix plant is never compromised at our end. The offered plant is used at construction sites for mixing of construction materials. Our in-depth knowledge and industry expertise allow us to offer a distinguished assortment of Wet Mix Macadam Plant. Our experts who have vast experience manufacture this macadam plant from high-quality basic material keeping in mind the customer’s needs. 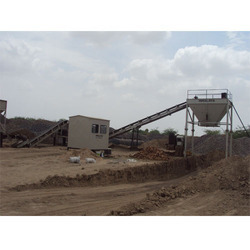 Our offered macadam plant is completely checked by our quality experts against varied quality parameters. 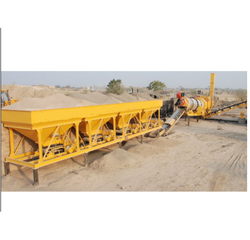 Available in different specifications, the macadam plant can be customized as per the specific need of the customers.